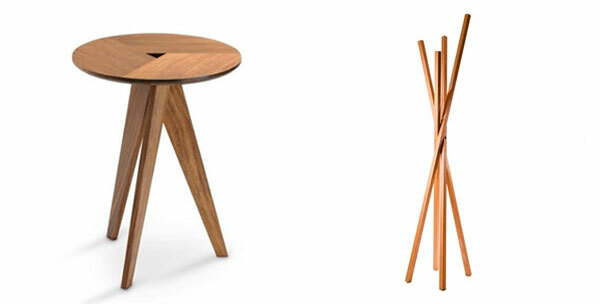 Image above, Kettle Side table by Matt J Pearson. All images courtesy Workshopped. Workshopped’s new catalogue celebrates emerging Australian design talent. 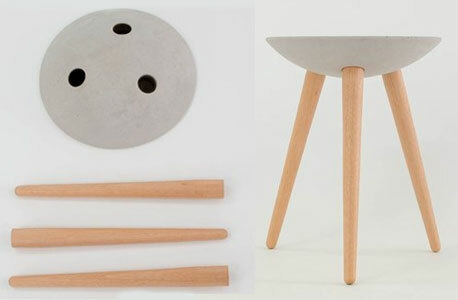 Workshopped is an innovative design and manufacture company based in Sydney. Nurturing emerging Australian and New Zealand designers since 2001, they provide guidance while supporting the process of prototyping, production and sale. These are important and sometimes overwhelming aspects for those starting out in the industry. The company has launched seven new products to their catalogue. The products chosen were part of their most recent Workshopped14 exhibition, they are original and desirable products ready to be taken home and enjoyed. The catalogue gives designers an opportunity to present their designs to the public. Many designers who have exhibited at Workshopped exhibitions have had their works picked up by commercial production. The exhibition also provides valuable exposure to commercial and retail buyers. The Kettle table was designed in collaboration with manufacturer EGT in rural Victoria. The top is cast from a composite resin that contains a high percentage of fly ash. Fly ash is a by-product of coal combustion that would otherwise end up as waste. It has superior strength to concrete, and is a fraction of its weight. The Slight pendants are slip cast in white gloss ceramic. LED lights provide efficient warm lighting to the surface below. The pendants work best both visually and functionally as a cluster of 3. They can be customised in a white matte glaze. The pendants are sold individually or in sets of 3. The Buoy light is a single directional light that can be suspended or placed on its facets. The design is flexible and robust. It can sit on any horizontal surface, or be mounted on the wall or ceiling. The Nehi table is inspired by the simplicity, quality and functionality of Shaker furniture. Handcrafted in Adelaide, the table is made from Australian timbers and coated with a hard and durable finish. The X coat stand is an elegant storage solution. Inspired by the twisting of a bare tree in winter, its simple design conceals the joinery. This enables it to collapse for easy storage or transportation, without compromising function or aesthetics. The Lift stool is influenced by Japanese and Scandinavian design details. Handcrafted in Adelaide, it is made from one length of timber. The sensitive treatment of the material creates a comfortable and aesthetically pleasing seat. 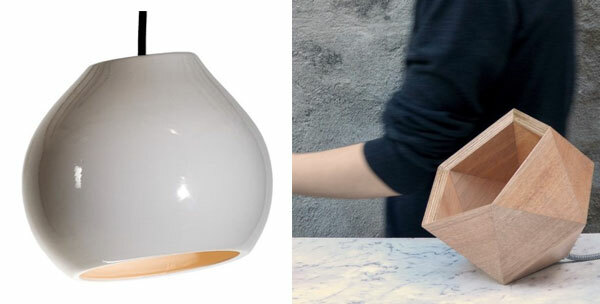 The Moo light is inspired by traditional Chinese Bamboo curtains. 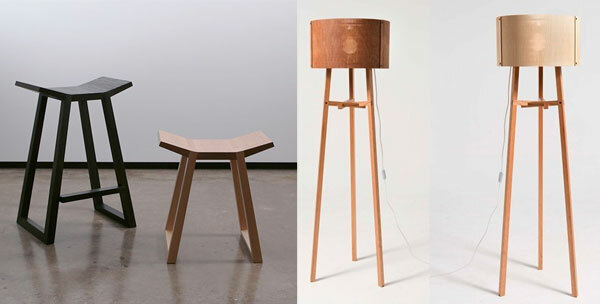 The shade is laser cut from rigid ply wood, to which a soft fabric is fixed. The stand is made from solid Tasmanian oak, and can be flat packed. Applications for the Workshopped15 exhibition are now open. Entries close 17 May.